May 23, 2018 May 23, 2018 by Margaret King . Posted in " In the Media " . Tags " STEAM, STEM, SummerCamp " . Think summer is for sleeping in, watching TV and hanging out at the pool or beach? Maybe spending a week at camp playing Capture the Flag and doing arts and crafts? Not anymore — more and more summer programs are designed to prepare students for STEM (science, technology, engineering and math) careers or equip them with other real-life skills. Once you know you’re interested in a certain career path, what next? 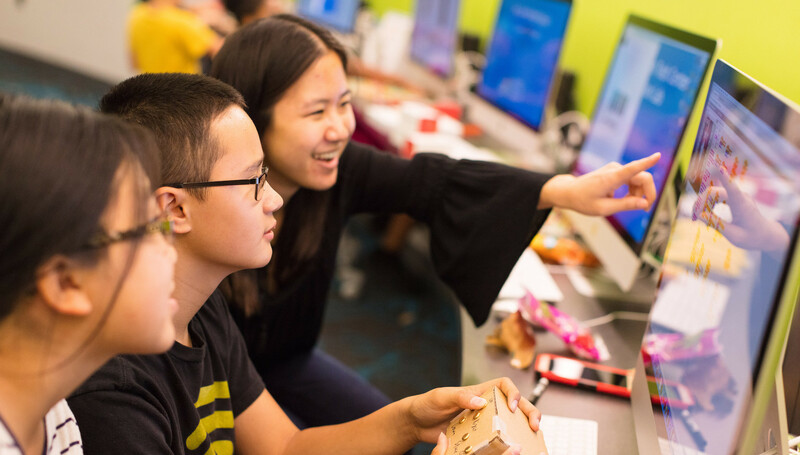 The Sally Ride Science Junior Academy, through UC San Diego, offers creative workshops in topics ranging from computer programming to neuroscience to filmmaking to architecture. There are workshops for middle school and high school students and one-, two- and four-week workshops, all held at Mission Bay High School. Classes include lots of hands-on activities and experiences, and they’re taught by UC grad students and faculty members who are experts in their fields. For some workshops, students can get pre-college credit and request official transcripts for job interviews, internships and college applications. With a name like Sally Ride Science — for the first American woman in space — it’s not surprising that the workshops also incorporate stories of women conducting research in each field. In some cases, those women are in the workshops: Tritons for Sally Ride Science is a group of undergraduates who work with the program and focus on getting students excited about STEM education and careers. “Students aren’t just being taught by industry experts; they’re taught by students,” said Megan Lancaster, manager of pre-college and career preparation programs at UC San Diego and program director for the Sally Ride Science Junior Academy. All the workshops are half-day sessions, but there are morning and afternoon time slots, so a student could enroll in two workshops and possibly spend the morning studying astrobiology and then build a Rube Goldberg machine in the afternoon. This year, Sally Ride Science is also offering early drop-off and late pickup options to make it easier on parents. Sally Ride Science (is) seeing interest in (its) programs grow each year . . .
“We’re expecting 1,400 kids over the four weeks — last year, we had 550,” Lancaster said. Allison Keltner is a freelance writer in San Diego.